San Francisco, a beautifully textured city that stands out from the typical American town, is one of the most visited and talked about cities in the states. From the gigantic Golden Gate Bridge to its alternative-lifestyle-friendly community and cheap hotels, this city is one of a kind, and is continuously reinventing itself. When traveling down the Pacific Coast Highway, Route 1, many people stop in San Francisco for its main attractions like the Golden Gate Bridge, Painted Ladies, and Pier 39. But there is so much more to the city than its overly touristy attractions. Here are 5 reasons to visit San Fran while on your Pacific Coast road trip. San Francisco, next to Denver and Portland, is a must-visit if you’re into a slower, more easygoing vibe. Its trendy bohemian community adds a certain “oomph” to the city life and makes for the perfect touch of relaxation. Prepare for traffic, due to polite drivers insisting that other cars go first, and an overall sense of serenity within the restaurants and down the streets. Most people would agree that traveling and enjoying your journeys has a lot to do with the culture you experience. Most people like New York for its hustle and bustle, LA for its glam, and Miami for the nightlife. But San Francisco offers a little more than just a large pair of sunglasses; its streets are filled with boutique coffee shops, live music jazz bars, and occasionally trunk shows that showcase local artists’ talents. Now that doesn’t mean go slip on your bathing suit and grab a beach towel. The city does have a beach or two, and they’re quite nice; however, the summers in San Francisco can be a bit chilly for those who aren’t from the north. Instead of your bathing suit, put on your favorite shirt and hat and head down to Baker Beach to capture a few snapshots of yourself with the Golden Gate Bridge. Next, just relax and take in the views with a picnic on the shore and a good book. If there’s one thing that’s certain, it’s that any 90s baby wouldn’t mind being taken back in time to relive their favorite childhood memories. Another certainty is that many people’s favorite TV show was Full House with the Olsen Twins. 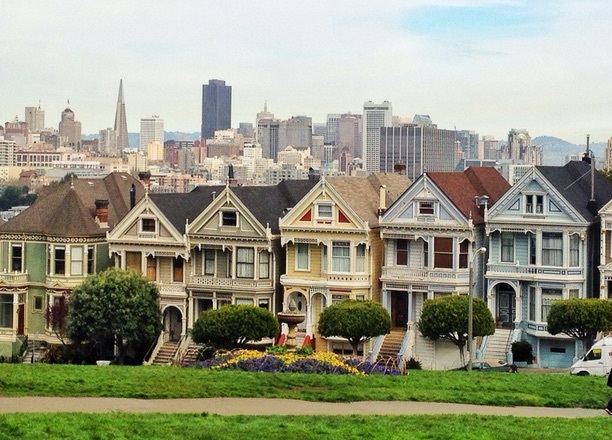 If you agree with both, than San Francisco is the spot for you because it’s home to the Full House residence. Although someone lives there now, so you can’t go inside, it’s still open to the public to relish in the memory and take photos. All in all, San Francisco is a city to adore. With its hills facing the calm bay, trolleys rolling through the streets, and many, many attractions to indulge in, what’s not to like about the city?